On 7/19/18 I hurt my back at work ,I went to see Dr Bracco and he Helped me a lot with adjusting my lower back ,I had a pinched nerve that was very Painful, and I could not function and do normal every day things. I was feeling burning ,sharp pain and if I was sitting and moved to get up my breath was taken away from the pain . Iam just now getting back to some kind of normal activities , I was bent over like a old man . Thank you Dr Bracco I highly recommend him if you suffer from back pain . 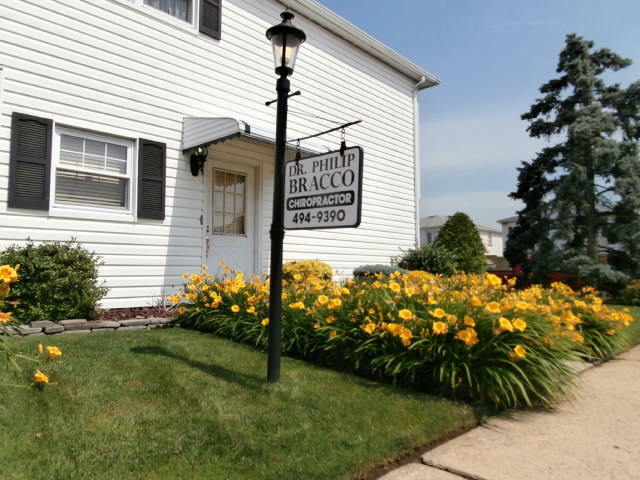 Dr. Bracco is very knowledgeable and very helpful. I have benefited from his treatments, and feel a lot better after adjustments. Dr. Bracco truly cares about his patients. Joyce and Kim are also courteous and helpful. Best chiropractor I’ve ever been to. Strongly recommend. Dr Bracco has helped me with Degenerative Disk Disease for the last four months. I’m sure that I have benefitted from his treatments, and feel a lot better after adjustments. Dr Bracco is a very nice person who clearly cares about his patients and their well-being. I recommend him as a first stop to anyone in need of Chiropractic service. His office staff is also courteous and helpful with scheduling, reminders, and anything you need from them. Many patients enter my office each day with different grades of lower back pain from mild to severe. Each patient basically says the same thing to me but in their own words. “Dr Bracco, make my pain go away, make me feel better.” The truth of the matter is that these patient have been taking medication for inflammation and pain with little to no relief. They have had X-Rays, MRI’s, Nerve tests and more. They have gone from their primary physician to Orthopedic to Neurologist with no help. In Chiropractic, we have a unique saying that we can hang our hat on. Structure determines Function. I read the same reports which describe disc degeneration, arthritic spurring, bulging discs, herniated discs etc., etc. I look at the same X-Rays and MRI’s and yes, I see all that they report but I see more than that. I analyze the structure of the spine and with that lies Chiropractic’s specialty. I see a vertebrae turning 2 mm to the right or left, on a angle etc, etc.. Correct the structure and improve the function. No one, AND I MEAN NO ONE, can correct the structure of the spine with their hands like a Chiropractor. So, if your tired of treating the symptom and taking something for the pain day in and day out, then I recommend that you make an appointment to see if your spinal structure is causing your pain.